Asian markets were up on Monday afternoon, with shares in Japan, Hong Kong and Australia rising. Hong Kong’s Hang Seng index, which closed earlier at 12:00 p.m. HK/SIN today with the eve of the Lunar New Year holidays, edged up 0.08 percent to close at 27,990.21. Over in Japan, the Nikkei 225 advanced 0.35 percent while the Topix rose 0.92 percent. Shares of tech giant Sony, however, plunged more than 8 percent after the company cut its revenue outlook for the fiscal year, on the back of weaker-than-expected sales of cameras and smartphones. Stocks in Australia traded higher ahead of the release of a landmark report surrounding the country’s beleaguered financial services sector. The ASX 200 gained 0.39 percent in afternoon trade, with the sectors mostly higher. The moves Down Under came ahead of the release of the final report by the Royal Commission into misconduct in the country’s financial sector. The recommendations by the Royal Commission are expected to bring extensive changes to the sector, following a series of systemic wrongdoings which were uncovered in 2018. 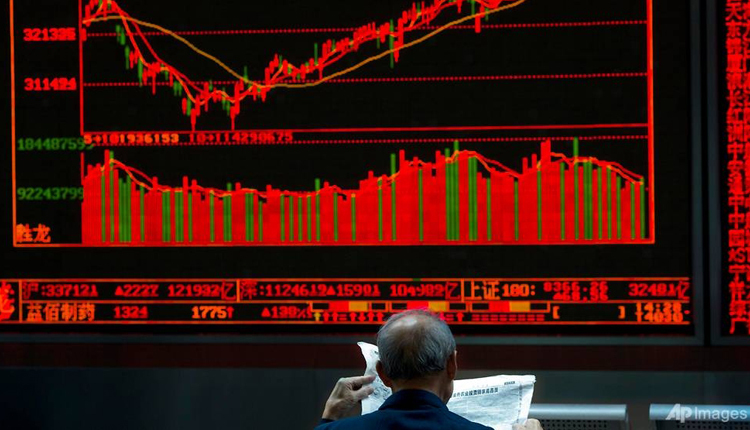 Stock markets in China and South Korea are closed today due to holidays. China’s services sector continued to see steady growth in January despite dipping slightly from December levels, according to a private survey which was released on Sunday. The Chinese services PMI numbers were “not nearly as grim” as their manufacturing counterparts, Ray Attrill, head of foreign exchange strategy at National Australia Bank, said in a morning note. The U.S. dollar index, which tracks the greenback against a basket of its peers, was at 95.659 after seeing lows below 95.4 last week. The Japanese yen traded at 109.66 against the dollar after touching highs below 108.8 in the previous trading week. The Australian dollar changed hands at $0.7231 after seeing lows below $0.715 last week.